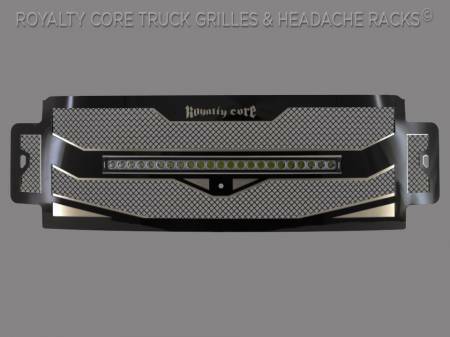 The RC4X Layered Curved LED grille is an underlay design that adds a secondary stainless layer under the custom grille that makes it stand out by offering color, dimension and detail. 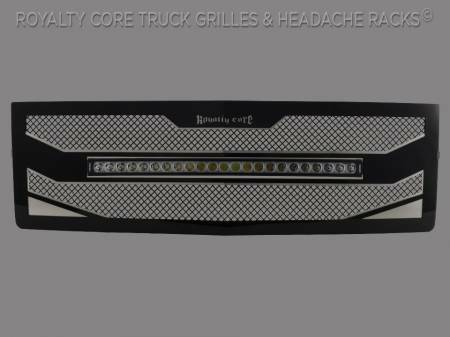 The grille frame and the underlay can be customized to include your truck color or colors from accent areas such as wheels or suspension colors. 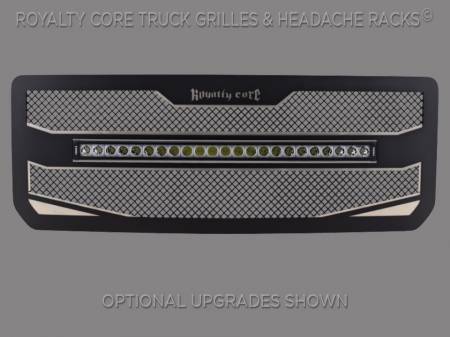 Not only does it look good but it offers the same accelerated airflow and structural toughness that you expect from Royalty Core custom grilles. The grille has to be able to dive into piles of debris, push through snow, and cut through rushing water without stopping.